Suzi Witt is an expert in all things sugar. An award winning cake maker and one of this country’s leading sugar crafters she started her business, Pretty Witty Cakes, in 2010, and has students who travel from all over the world to her classes which are known as the best in the country. She specializes in cute novelty sugar characters, people and animals. The sugarcraft designs are all her own, easy to follow and impressive to look at. 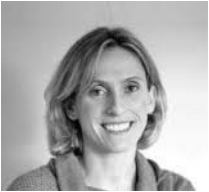 Star speaker at the Cake & Bake show 2012, she was also the runner-up in the Baking Industry Awards in the same year and winner of the Highly Commended Prize in the Mumpreneur Best International Trader. In 2014 she was a finalist in 'best learning experience' by Cake Master Awards. Pretty Witty Cakes is one of the best known international cake brands and is particularly known for the online tutorials, with members in 63 countries. 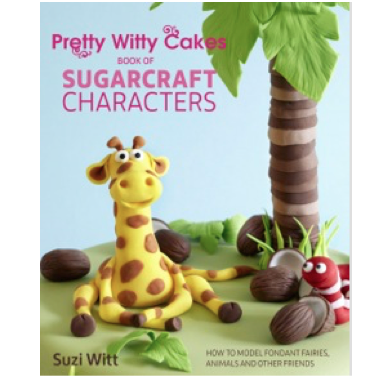 PRETTY WITTY CAKES BOOK OF SUGARCRAFT CHARACTERS is a fantastically detailed step by step guide to creating 40 of her award-winning sugarcraft designs. She reveals all her secrets and tips to help the growing number of people keen to experiment and make their own fantastic sugar creations to decorate cupcakes and cakes. Like Pretty Witty Cakes on Facebook. Follow Suzi Witt on Twitter. Watch Suzi Witt's tutorials on YouTube.